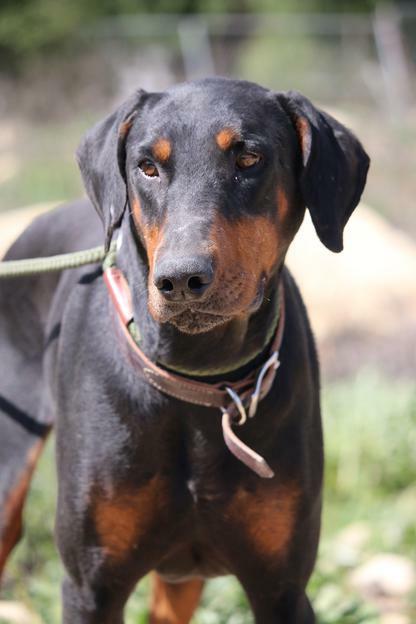 Ben is a new arrival from an upstate animal shelter that felt he would do best in our environment and have a stronger chance to be adopted promptly. 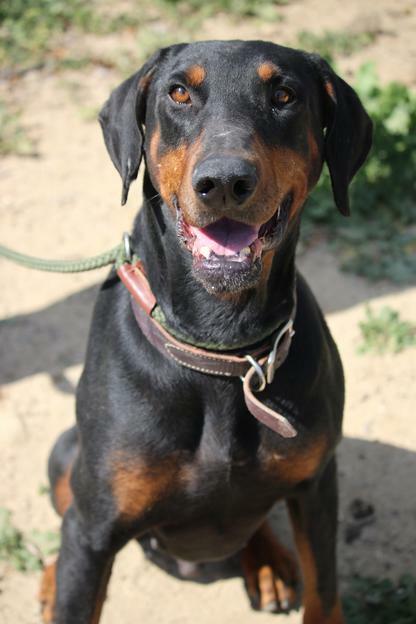 While our environment isn't exactly low-stress, we spend time reassuring our guys so they feel more at home than they probably would in any animal shelter situation. 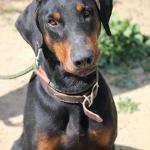 Ben has been such an easy keeper! 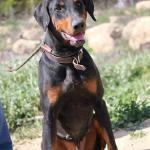 He's young - about 4 years old - and he's a large boy, which means he'll need a little work on leash to pull less strongly. 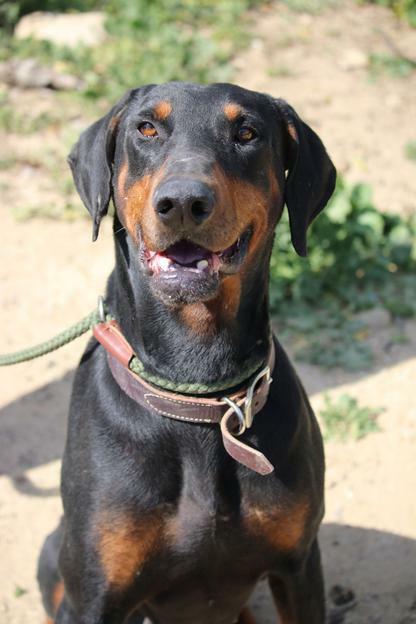 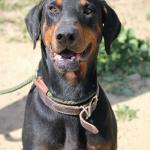 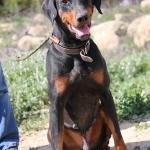 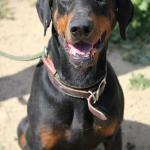 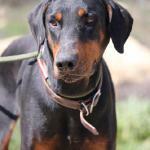 Otherwise, he's friendly and lives easily with a female Dobie much smaller than he is. 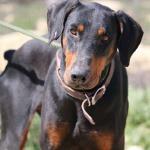 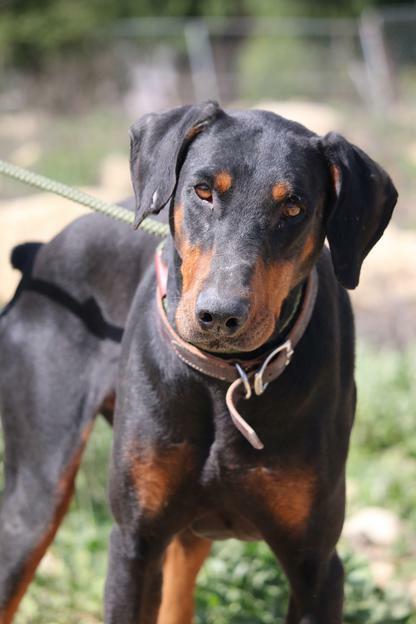 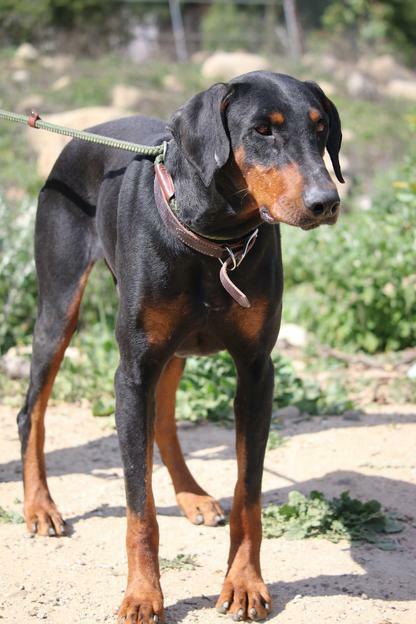 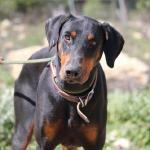 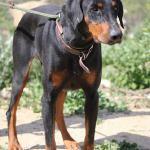 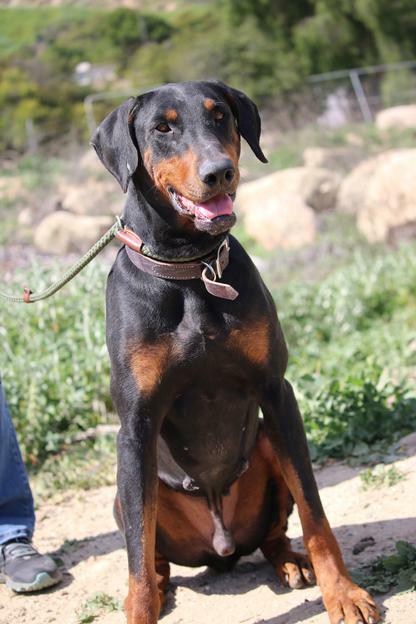 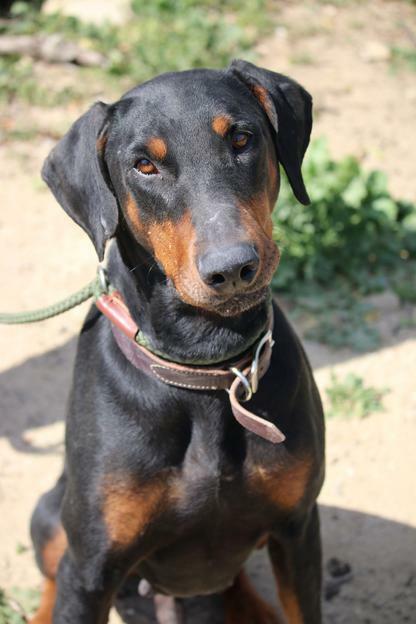 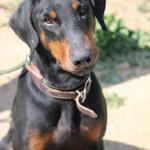 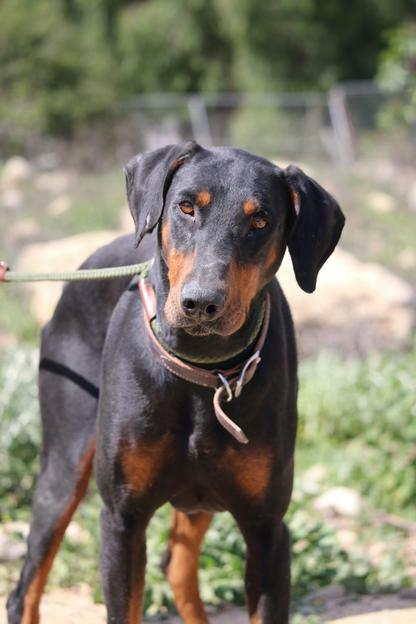 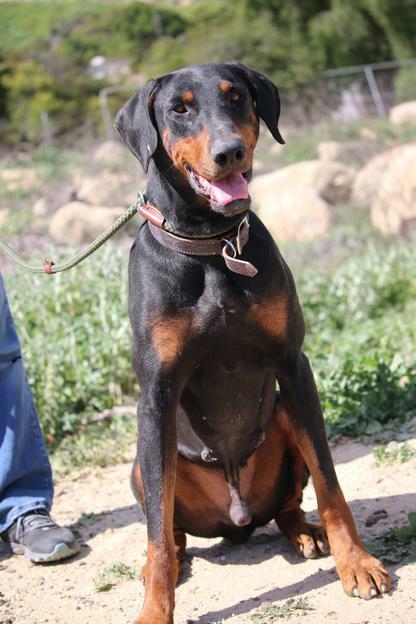 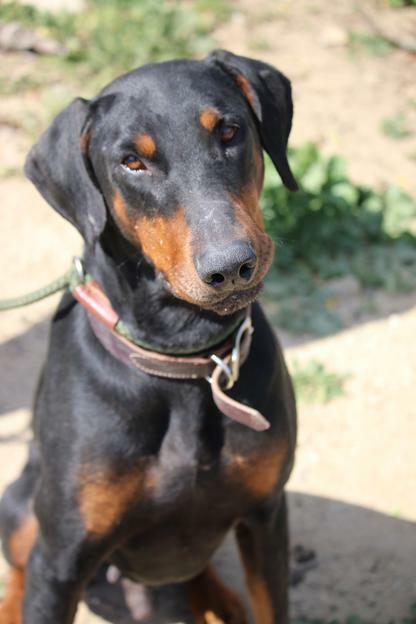 Though Ben hasn't been kenneled with any male Dobies, he seems more curious than aggressive when they approach him.